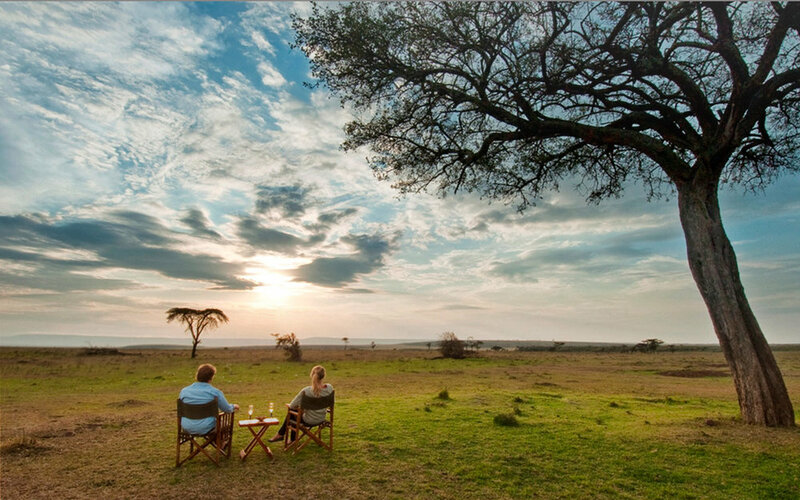 A safari is a fantastic way to combine both adventure and romance whilst on honeymoon. Your days can be as action packed as you like – or as relaxed and laid back as you can get. A day at Offbeat Mara Camp could start off with a balloon ride across the Mara where you can watch the sun kissed plains wake up as the sun rises followed by a champagne breakfast. After your afternoon game drive you can watch the sun go down with drink in hand, next to a roaring fire -followed by a romantic candle lit dinner for two under the stars. Sosian Lodge has so much to offer honeymooners, not least its private and secluded honeymooners cottage, set part from the other rooms, with its own private garden. Days are tailored to what our honeymooners want, and a morning on horseback or a walk along the river are great ways to start the day. We can also arrange private dinners or an ultimately romantic night out under the stars. Relaxing by the pool or climbing Baboon Rock for a view to die for, are just some of the many things that honeymooners can immerse themselves in whilst staying at Sosian. Just remember – it is your honeymoon and you can be as active or relaxed as you wish to be. Combining both properties with a stay at one of Kenya’s many beautiful beach hotels and houses can be a wonderful way to end a honeymoon – see our suggested itinerary - for ideas!